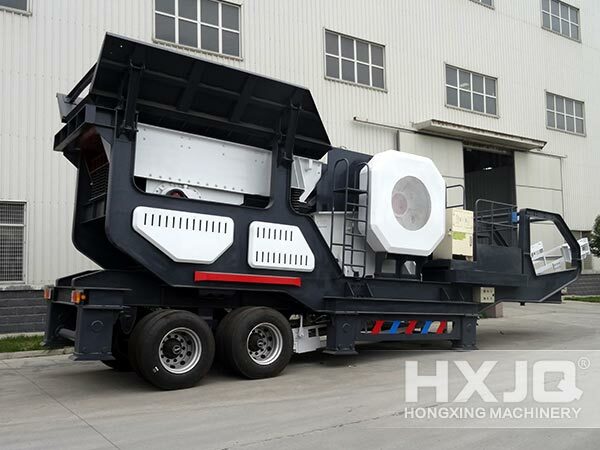 Recently, a new type of mobile crusher has been developed by Hongxing Machinery. Now let's make a basic understanding to the new mobile crushing station. The new type of mobile crusher that can replace a complete stone production line under certain conditions is an organic integrity formed by feeding, crushing, screening and conveying systems. The feeding system is to feed raw materials to crushing and screening system. The new type of mobile crusher achieves the more uniform and ordered feeding process. 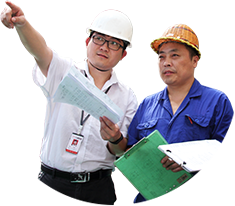 As the main part of the whole production process, the crushing system is to produce the finished product of smaller size. The crushing system consists of one or more crushers, which is more flexible. Then the screening system makes the screening operation to the crushed stones and selects crushed stones to different models. The conveying operation between crushing and screening equipment is done by the screening system. Besides, it can send the unqualified stones to crusher system again. The new type of mobile crusher has 3 times service life extension for its better material and more refined technology. With strengths of affordable price, low investment, small volume and no pollution, the new mobile crusher is gradually becoming the ideal choose for stone crushing operation.